As one of our over 6 million FreedomWorks members nationwide, I urge you to contact your Representative and urge him or her to co-sponsor the Email Privacy Act, H.R. 1852, if they have not already done so. Sponsored by Rep. Kevin Yoder (R-KS), this bill would make common-sense reforms to provide the same privacy protections for emails that apply to other forms of correspondence. The Electronics Communication Act (ECPA) was designed in an era before electronic communication and storage had emerged as a dominant force in modern life. As such, it could not have foreseen the crucial need for better privacy protections, given the vast amount of sensitive information now stored digitally. As times change, legislation must be kept up to date in order to ensure that the continued liberty of the people against excessive government intrusion not be abridged due to gaps and ambiguities in previous laws. 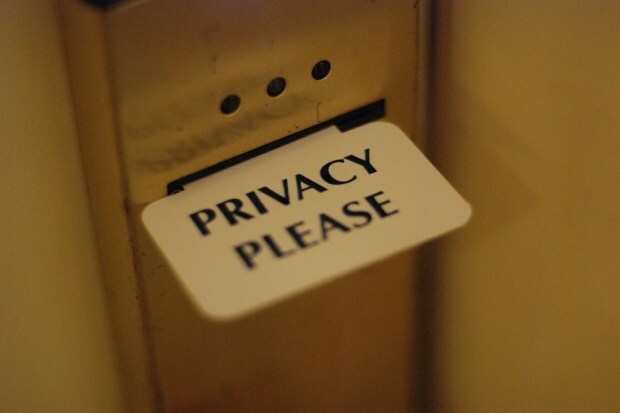 Americans have the right to feel secure that their privacy will not be compromised without due process, a right explicitly protected under the Fifth and Fourteenth Amendments to the U.S. Constitution. Additionally, the Fourth Amendment clearly protects against unreasonable search and seizure, and requires probable cause for the issuing of warrants. As it stands, ECPA leaves dangerous openings for the violation of these constitutional rights. For this reason, we urge you to voice your support for the Email Privacy Act, a common sense bill with strong bipartisan backing. This act would prevent the federal government from prying into private, electronically stored information of law-abiding citizens without following the proper channels of law. The Email Privacy Act is a critical step in keeping government out of the private lives of its citizens, and it is our hope that you will ask your representative to co-sponsor and otherwise support the bill if they have not already done so. The Email Privacy Act is a direct line of defense when protecting Americans’ digital privacy. As the world evolves and more technological innovations are being discovered, it is our duty to keep up by renewing our laws. This bill would protect citizens’ privacy by requiring authorities provide a warrant before they are given access to electronic data stored by technology companies. On behalf of our activist community, I urge you to contact your senators and them to support the Email Privacy Act, S. 1654, introduced by Sens. Mike Lee (R-Utah) and Patrick Leahy (D-Vt.). The bill would greatly increase individual privacy by adding warrant requirements for authorities before they can acquire electronic content that is held by technology companies. FreedomWorks supports the ECPA Modernization Act of 2017 by Senators Mike Lee and Patrick Leahy to protect the Fourth Amendment rights of every American by amending the Electronic Communications Privacy Act of 1986. This outdated law was written before most people even knew what the word internet meant, and well before the world of cloud-computing and online data storage. This legislation is in dire need of an upgrade, and Sens. Lee and Leahy should be applauded for taking the lead on this important issue. On behalf of FreedomWorks’ activist community, I urge you to contact your representative and urge him or her to vote YES on the Email Privacy Act, H.R. 387, introduced by Rep. Kevin Yoder (R-Kan.). The legislation seeks to protect emails, data, and digital communications by requiring authorities to obtain a search warrant before gaining access to such forms of communication.